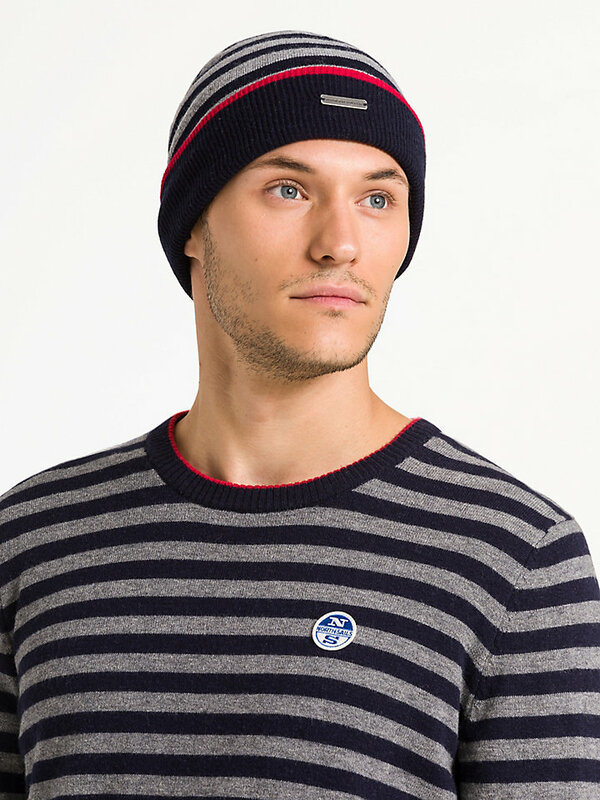 Professional beanie of a cotton, wool and cashmere blend to protect your head from the cold. Warm and comfortable beanie to protect your head from the icy wind and cold this winter. 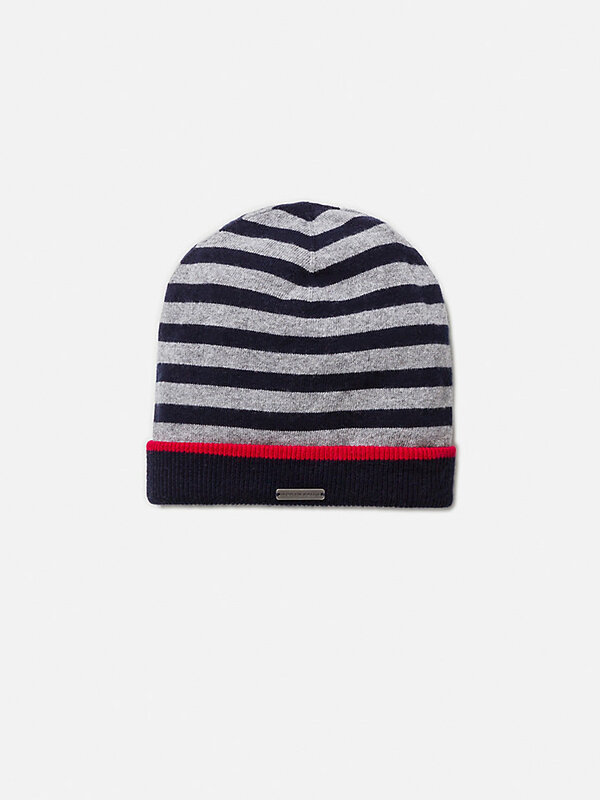 With this striped beanie, you make sure your body heat doesn't escape through your head. The fabric it is made of - a blend of cotton, wool and cashmere - does not only keep you warm, but also has a super soft feeling to it. The stripes and ribbed folded border complete your look. 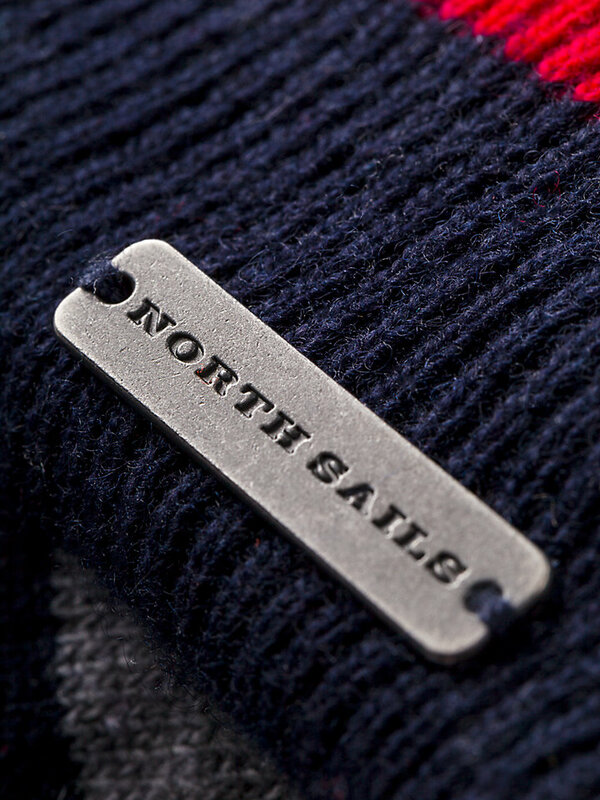 Adorned with a front metal placket with North Sails logo.